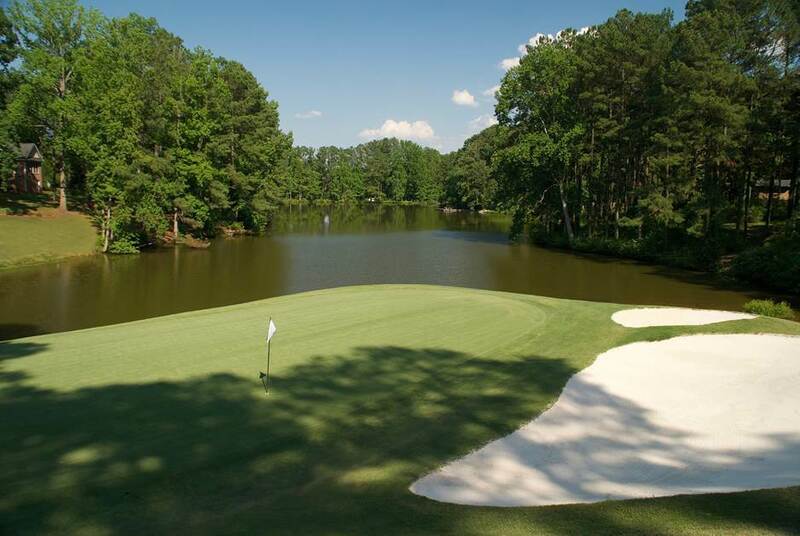 The first of the two 18-hole courses that make up the Carolina Trace private golf community is the Lake Course. 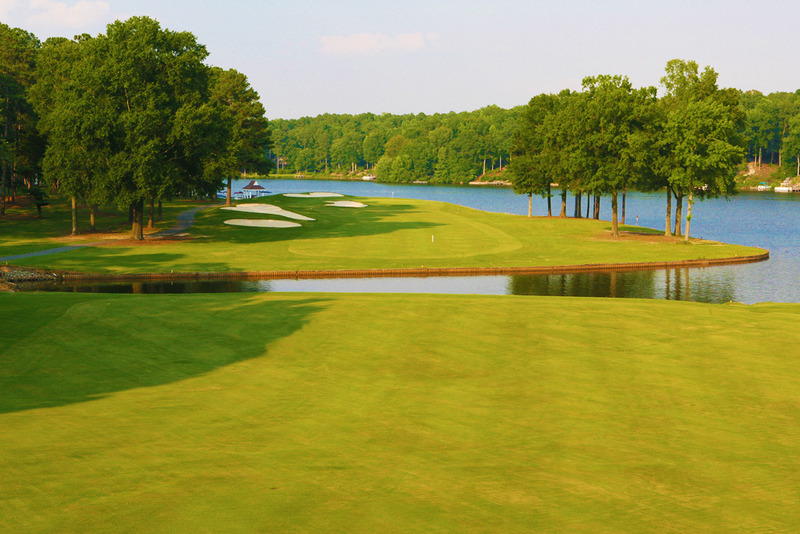 Designed by Robert Trent Jones, Sr., the Lake Course opened for play in 1971. 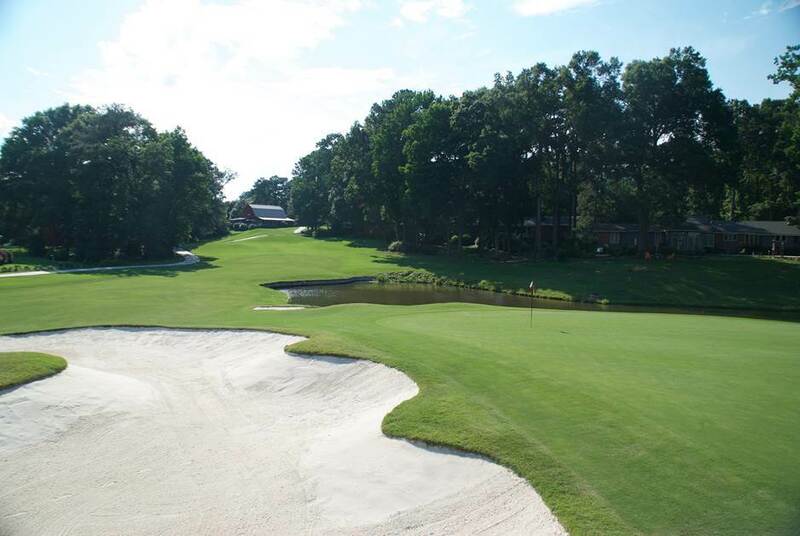 Jones, Sr.'s creativity of design is apparent in the Lake Course and remains visible on every hole. The Lake Course winds around the 315-acre Lake Trace with such captivating views that maintaining focus on ones golf game can be difficult. Each hole provides five sets of tees, Black, Blue, White, Gold, and Red, allowing players of all skill levels, from the highly skilled to those just getting started, to choose the degree of difficulty they would like to play. The Black tees are sloped at 136 and the Red tees at 121. The generous-sized fairways are Bermuda grass with the greens featuring Dominant Bent grass. 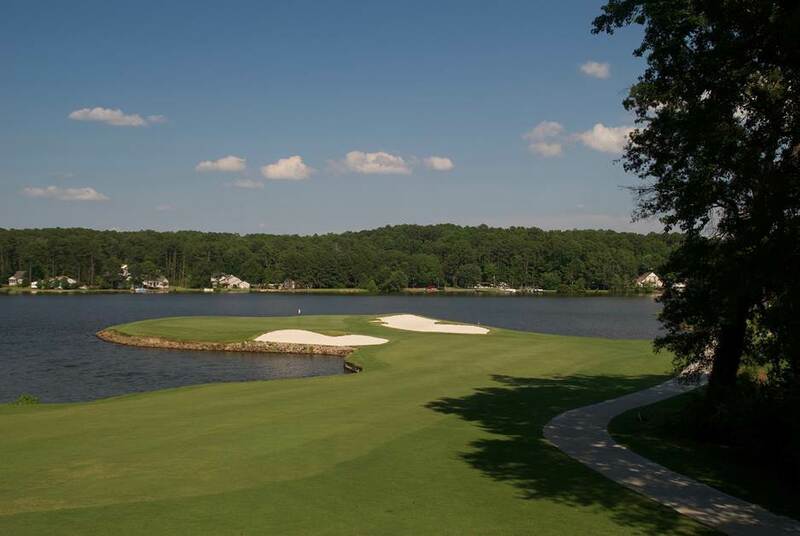 The Lake Course layout features picturesque views accompanied by championship designs, notably on the 6th and 8th holes, which are par three's with dramatic downhill tee shots. 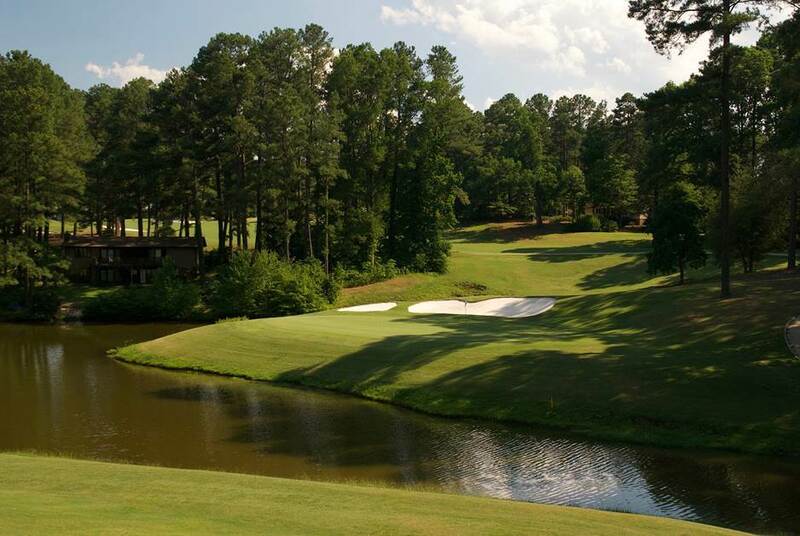 The 13th hole is also a par three, with the vast expanse of Lake Trace as a panoramic background. 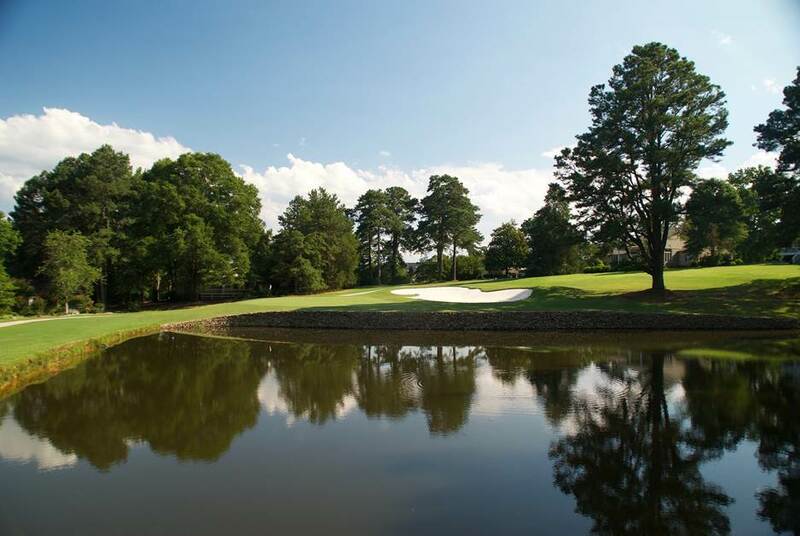 The Lake course features a pair of par fives on the back nine, the 14th and 18th holes, which provide risk-reward options for charging the green in two big shots. Both the 14th and 18th holes are bordered by water on one side with an inlet of the lake to traverse on the second shot. 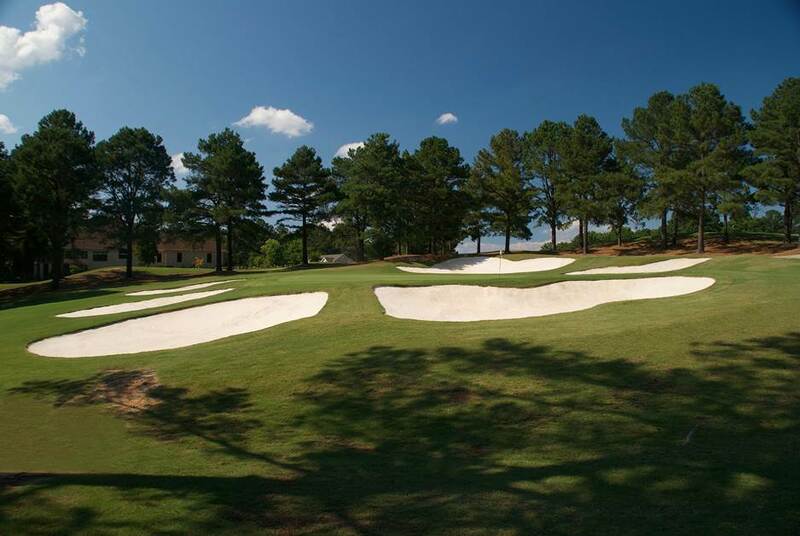 An added challenge to the 18th hole is the 80-foot drop in elevation over its 507-yard layout.